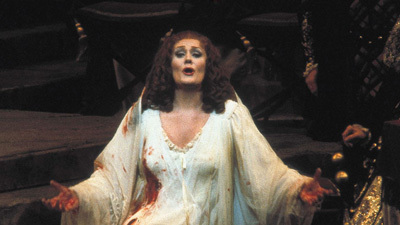 The Met debut of soprano Joan Sutherland was one of the great evenings in the history of the company, and this broadcast, recorded only a few days after that memorable first night, captures the near hysteria that Sutherland’s spectacular performance unleashed. 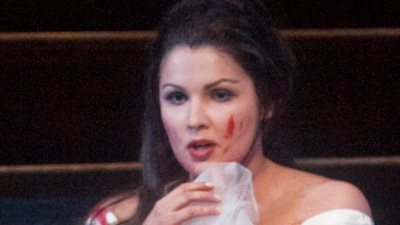 Lucia’s descent into insanity is superbly conveyed in her sensational account of the famous mad scene. Richard Tucker is an ardent Edgardo and Frank Guarrera plays Enrico, Lucia’s scheming brother.